Christopher Deakes and Tom Stanley are well qualified as authors of a book such as this. Deakes worked for many years as a shipping agent and over the years amassed a large collection of shipping postcards. Stanley’s background is as a postcard and ephemera dealer specialising in shipping, and together they have come up with a delightful volume that celebrates a nautical world now disappeared. 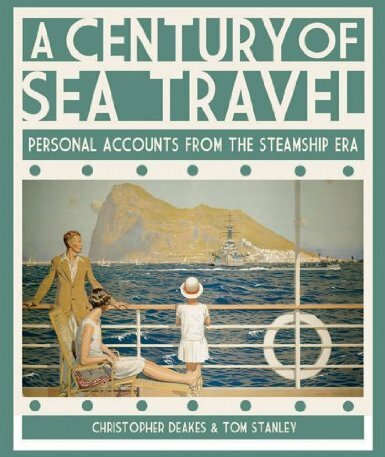 Their book is a voyage through the life of the passenger steamship described by the travellers who sailed in them and mirrored by atmospheric and often touching contemporary illustrations and photographs. In memoirs and letters home, diaries and journals, the writers recorded every aspect of their seagoing experiences: they wrote of their ship, its crew and their fellow passengers, of the food and entertainment on board, of romance, accidents and disasters. They noted incidents on board that amused or angered them, described the ports at which their ship called, and the fear and excitement of storms at sea.